Naoyuki Kubota graduated from Osaka Kyoiku University in 1992, received the M.E. degree from Hokkaido University in 1994, and received the D.E. degree from Nagoya University, Japan in 1997. He was an Assistant Professor and Lecturer at the Department of Mechanical Engineering, Osaka Institute of Technology, Japan, from 1997 to 2000. In 2000, he joined the Department of Human and Artificial Intelligence Systems, the School of Engineering, Fukui University, as an Associate Professor. 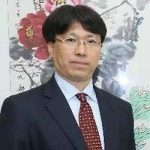 He joined the Department of Mechanical Engineering, the Graduate School of Engineering, Tokyo Metropolitan University, Japan, as an Associate Professor in 2004. He was an Associate Professor from 2005 to 2012, and a Professor from 2012 to 2017 at the Department of Systems Design, the graduate School of System Design, Tokyo Metropolitan University, Japan. He is currently a Professor at the Department of Mechanical Systems Engineering, the Graduate School of Systems Design, Tokyo Metropolitan University, Japan. He was a Visiting Professor at University of Portsmouth, UK, in 2007 and 2009, and was an Invited Visiting Professor at Seoul National University from 2009 to 2012. His current interests are in the fields of coevolutionary computation, fuzzy control, spiking neural networks, perception-based robotics, robot partners, and informationally structured space. He has published more than 200 refereed journal and conference papers in the above research fields. He received the Best Paper Award of IEEE IECON’96, the Best Paper Award of IEEE CIRA’97, and so on. 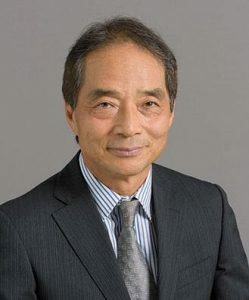 He was an associate editor of the IEEE Transactions on Fuzzy Systems from 1999 to 2010, the IEEE CIS Intelligent Systems Applications Technical Committee, Robotics Task Force Chair from 2007 to 2014, IEEE Systems, Man, and Cybernetics Society, Japan Chapter Chair since 2018, and others. Hazlie Mokhlis received the Bachelor of Engineering (B. Eng. (Hons)) degree and Master of Engineering Science (M. Eng.Sc) in Electrical Engineering from University of Malaya in 1999 and 2003 respectively. He received PhD degree from the University of Manchester in 2009. He is currently Professor at Department of Electrical Engineering, University of Malaya and Deputy Dean (Postgraduate Studies). He had held several positions; Deputy Dean Research (2013-2014), Deputy Dean Higher Degree (2014-2015) and Head of Department (2015-2017) at the Faculty of Engineering. Dr Hazlie is actively involved in research as a principle investigator with a total amount of research grant worth more than RM 2 million. He is the author and co-author of more than 200 publications in international journals and proceedings in the area of Power Systems and Energy. Up to now, he had successfully supervised to completion 17 PhD, 6 Master (by research) and 52 Master (by course work project) candidates. He also involves actively as reviewer for international journal such as IEEE transaction on Power Systems, IEEE transaction on Sustainable Energy, IET Generation, Transmission & Distribution, International Journal of Electrical Power & Energy Systems, Applied SoftComputing, Energy Conversion & Management, and several international conferences. 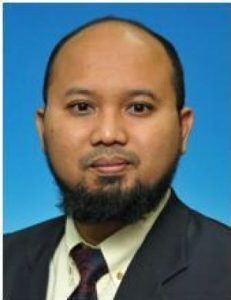 Besides involve with research, he is also active in the development of Malaysian Standard as a member of Working Group in Development of Malaysian’s Power System Analysis and Studies (WG6) and Expert Representative in IEC for project TC 8/PT 62786. His research interest includes fault location, network reconfiguration, islanding operation, islanding detection, and renewable energy. Prof Hazlie is a Chartered Engineer with the Engineering Council UK and a Professional Engineer with the Board of Engineers Malaysia. Currently he is Executive Committee for IEEE Power Energy Society Malaysia Chapter. Yasushi Kiyoki received his B.E., M.E. and Ph.D. degrees in electrical engineering from Keio University in 1978, 1980 and 1983, respectively. In 1983 and 1984, he worked at Electrical and Communication Labratory of NTT. From 1984 to 1996, he was with Institute of Information Sciences and Electronics, Univ. of Tsukuba, as an assistant professor and then an associate professor. Since 1996, he has been with Department of Environmental Information at Keio University, where he is currently a professor. His research addresses multidatabase systems, knowledge base systems, semantic associative processing, and multimedia database systems. He serves as the chair on Special Interest Group of Database Systems and as the editor-in-chief on Transactions on Databases in Information Processing Society of Japan. He also serves as the program chair for the 7th International Conference on Database Systems for Advanced Applications.